If you keep up with our blogs then you have read our post on Microdermabrasion and who its best for. This week we are going to elaborate on the topic of Microdermabrasion by introducing one of our favorite treatments; the LED Sapphire Abrasion. 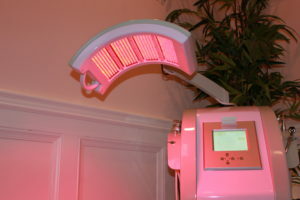 This type of Microdermabrasion has three features; the sapphire abrasion head made from actual sapphire, a lymphatic drainage feature, and lastly a red monochromatic light. With the three of these features combined, plus the ability to apply moisture to the skin The Sapphire abrasion will leave your skin flawless and refreshed. We at Lea Advanced skin care believe to be one of the few aestheticians in Beverly Hills who have worked with this modality, and mastered it. The results it creates paired with our Red Carpet treatment are so outstanding, that we believe it to be the best Microdermabrasion facial in Beverly Hills. Because the LED Sapphire Abrasion does not work with crystals or suction, it is safe and recommended for dryer or more delicate skin types. This also allows the dermabrasion to be done wet, unlike your traditional Microdermabrasion. When the abrasion is done wet, we usually combine several serums that will improve the overall appearance and texture of your skin, and the LED Sapphire will push it deeper into the dermis. The Sapphire abrasion combines a wet abrasion, with lymphatic drainage and LED light therapy to rejuvenate the skin. Instead of using suction, the sapphire abrasion uses vibration to re-texturize the dermis. The LED modality is attached to the tip of the dermabrasion device which provides direct contact with the skin. 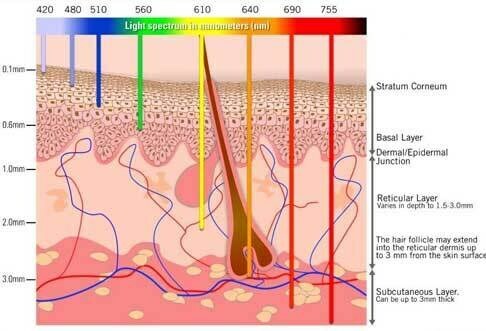 If you are unfamiliar with LED red light therapy, you can check out our blog on LED; http://leaadvancedskincare.com/led-light-therapy/. For those who do not read our blog, the red light stimulates the skin to produce collagen, and promotes elasticity and firmness. Although this light is a highly concentrated monochromatic red LED light, the exfoliation from the sapphire piece allows for deeper penetration of not only the light but the tailored serums customized for our patients’ treatment. Whether you’re concerned with dry skin, fine lines, wrinkles, or even pigmentation the LED Sapphire abrasion is the perfect fit. Even for those of you with sensitive skin, need that extra exfoliation for a more vibrant even skin-tone, the vibrations of the sapphire abrasion can be manipulated to be less or more abrasive depending on our patients skin. It is the perfect treatment to pair with our Red carpet treatment. In our Red Carpet treatment we use a micro-current to stimulate the muscles in the face to contract, lift, and tighten. We pair this with our light panels to stimulate collagen and cellular renewal. When these two treatments are combined, our patient is left with smooth, even, brighter, and tighter skin with little to no recovery time. Your traditional Microdermabrasion requires some down time because it is a dry abrasion and may cause minor peeling. Whereas this wet abrasion will exfoliate the skin just as well, but require zero down time. With the added benefits from the tailored serums, the LED light, and the lymphatic drainage the LED Sapphire abrasion is the best Microdermabrasion treatment in Beverly Hills!